It’s no secret that SkiBum.net editors and contributors gravitate toward smaller, less stressful and less expensive ski areas. Give us a short lift line and a beer by the woodstove in the lodge afterward and we’re happy. But every now and then we get the urge to be like chickens and range free…here are the places to go, wanderer deluxe! Which resort is the biggest? Well as the popular saying goes, it depends on what the definition of “is” is. Vertical? Skiable acreage? Number and length of trails? Some factor of all those? 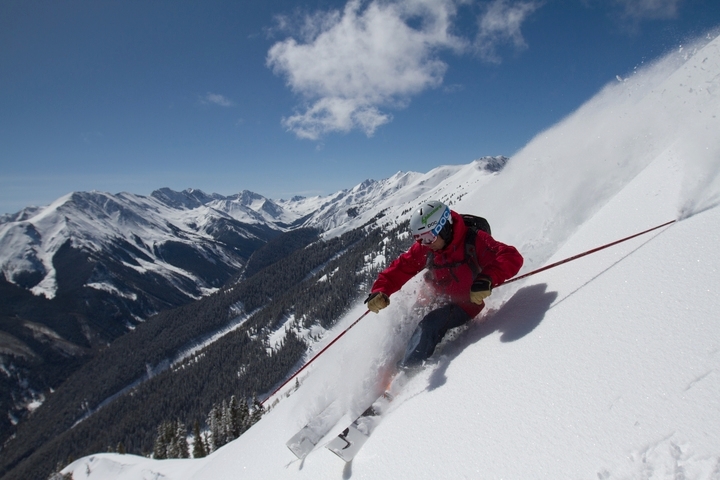 How should backcountry, tree skiing, side country, and hike-to terrain count? 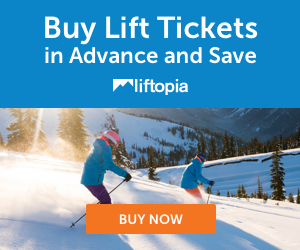 In this age of cat skiing, vague boundaries, mergers and gates between ski resorts, it is hard to pin down the definition of “largest.” It’s especially subject to opinion as more and more US ski areas are trying to approach the European model in which an entire range or valley becomes a mishmash of lifts. So rather than try and rank areas according to an imperfect formula shaped by opinion, here are a few of the biggies, and a few stats and comments for each. “Approximate Perimeter” is just that. We took a ruler to Google Earth and made assumptions, with a few wild guesses sprinkled in. Don’t make any wagers based on these numbers. Big Sky, Montana — By most accounts this is the biggest, baddest, you name it. What began as “Big Mountain” eventually absorbed two neighbors, and in the process, a big mountain became a monster mountain. Moving side to side, front to back is an all-day affair, and if you want to ride to the top, put on your big boy or big girl pants. Park City, Utah — By pure lift-served acreage, Park City is tops. When Vail Resorts took over the lease in 2015 they merged Park City Mountain Resort with The Canyons; two big resorts became a monster. As of this writing most skiers and snowboarders find moving about the merged monster to be too time consuming to say that it all skis fluidly, but they’ve got plans to some work and add a lift at the former Canyons section to make this farflung expanse a little more user friendly. If you want to get separated from the other skiers in your party, this is the place to do it. Vail, Colorado — The two above are bigger, to be sure. But if you want to go hither and yon with the least difficulty, neither of the two above compare with this expanse in central Colorado. Indeed it has nothing like the Lone Peak tram at Big Sky, nor the road map requirements at Park City. Ski down a slope at Vail, and somewhere below is a lift to take you back up, and often there is one that will take you somewhere else. You can begin the day with fur coats on the front side, wallow with the powder pigs in the back bowls, and get lost in the woods out in Blue Sky basin. Mt. Bachelor, Oregon — Always a biggie, and with the addition of the Cloudchaser quad, even bigger with 635 additional acres. Don’t be fooled by the numbers; more of this mountain is accessible from the top than anything listed above. Aspen Snowmass, Colorado — Here’s another area that, like Vail above, makes it relatively easy to move about its far-flung campus. But if you want to make the most of it, bring your “A” game as a lot of the outlying terrain is not for the faint of heart. Powder Mountain, Utah — You might disagree with adding PowMow to this list. Perhaps you’re right, maybe it shouldn’t be. Or should it? With the advent of two new lifts for the 2016-2017 season, lonely Powder Mountain now claims well over 8,000 acres. Now that’s also served with snowcats and a school bus, and moving throughout the entire complex can be problematic — not every “down” has a way back “up”, at least not easily. However PowMow does make the most out of strategically placed surface lifts and snowcats to make this far-flung expanse accessible. It just ain’t exactly easy. Odd that Powder Mountain seems to understate their actual vertical, but have no problem listing tough-to-access terrain as part of its alleged acreage.